Nasty Juice Vape is one of the most well-known names in the e-liquid business. Its goal is to be playful and daring, and it offers a variety of X-rated experiences that should be downright sinful. Originating in Tampin, Malaysia, Nasty Juice has exploded in popularity and is now a familiar brand in countries as far flung as the UAE, USA, and the UK. Well known for its state-of-the-art packaging and ease of use (simple enough for even complete beginners to understand and refill with), Nasty Juice is a fan favourite for many. 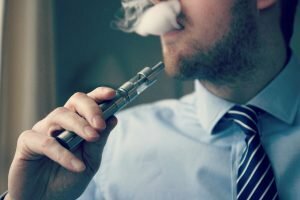 The company itself is so influential in the vaping community that you can expect to see others copy and follow suit their design and business strategies now and well into the future. They are, at their core, vaping enthusiasts. Their founders, Pak Din and Mr. Loky, began their dream back in 2015, and since then have introduced a wide variety of flavour profiles for the vaping connoisseur to enjoy. Although, be aware that there are counterfeit Nasty Juice products. Authentic Nasty Juice e liquid has a verification code at the top of the box. The actual canisters are well made and look beautiful, so if there are any running colours or faded designs you can be sure that what you are holding is a counterfeit. Of course, the best way to really ensure you are getting the real deal is to buy from verified sellers like Ultimate Juice. There are a variety of flavours to enjoy with Nasty Juice UK. You can have a sweet and refreshing experience wish Cush Man Strawberry, which blends strawberry with mango and low mint, for a refreshing and unique take on the classic flavour. Or alternatively, you can go for something more daring. Wicked Haze by Nasty Juice is a wild mix of flavours including blackcurrant and lemonade. It’s designed specifically to provide you with a unique exhale, making the entire experience incredible from start to finish. If you want something a bit more whimsical, then you can try Slow Blow, which combines lime soda with pineapple for a fresh, unique taste you will never get tired of. Of course, if you are new to the vaping world, then you should start first with one of the most infamous flavours of them all – Bad Blood. This flavour is created to absolute perfection, which is why it’s no wonder it’s so sought after in the UK. The main flavour highlights here are the blackcurrant, only this time with hints of low mint. The combination offers a refreshing feel and a great vapour cloud to enjoy all day long. Whether you are looking to buy for yourself, or want a last-minute gift for another vaping enthusiast such as yourself, you cannot go wrong with Nasty Juice e juice UK. 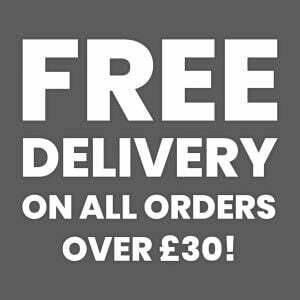 If you order more than £30 – enough for both you and a friend – you can even enjoy fast and free shipping on your order. All that’s left is to pick your new flavours and get started! To maintain the incredible flavours of Nasty Juice e juice you will want to clean out your tank between every refill, and then deep clean it at least once a week with non-flavoured alcohol like vodka. You will want to be careful during this process. Your tank does not need a lot of rough handling. With care and dedication, you can enjoy a fresh, clean taste of untainted e liquid every time, allowing you to truly enjoy the unique flavour of any of Nasty Juice’s incredible experiences.